Riverbed (News - Alert)®, The Digital Performance Company™, today announced the promotions of two well-established executives, Brian Bukowski to Senior Vice President of Americas Sales and Jeff Puffenberger to Vice President of Riverbed's U.S. Public Sector group. Both executives will report to Andy Elder, Chief Sales Officer at Riverbed. "Riverbed is at the forefront of a tremendous opportunity to help both enterprise and government organizations measure, manage and maximize digital performance so they can deliver exceptional experiences - for employees, customers, patients, civilians and government personnel," said Andy Elder, Riverbed's Chief Sales Officer. "We are thrilled to promote two outstanding individuals who have the experience and track records to lead these two key organizations, and I am confident in both Brian and Jeff's abilities to deliver business performance, enhance customer engagement, and lead Riverbed into the future." Brian Bukowski previously served as the Area Vice President of Americas East where he had a major impact on top line sales and productivity for the region. 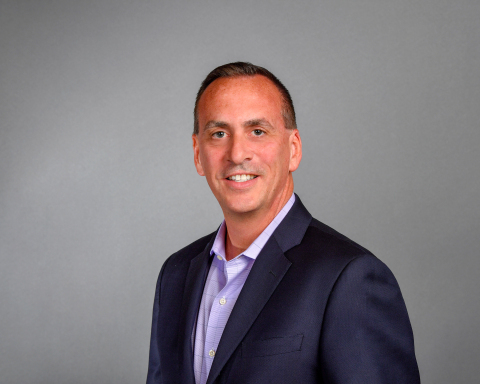 Bukowski joined Riverbed in 2016 bringing with him many years of sales leadership experience delivering enterprise technology solutions to Fortune 1000 and mid-market customers across multiple sales channels. Before Riverbed, Bukowski worked for the Stratix Corporation where he led the worldwide sales organization to significant bookings growth and profitability during his tenure. He has a proven track record as an executive sales leader and effective team builder, and has also held senior sales leadership roles at both Motorola (News - Alert) and Symbol Technologies. Jeff Puffenberger has served as a member of Riverbed's U.S. Public Sector team since joining the company in October 2018. In a short six months, Puffenberger has proven to be an invaluable resource and leader for reaching Riverbed's state, local, and education customers. With his appointment to Vice President to lead the U.S. Public Sector organization, Puffenberger brings with him business development and strategic planning expertise from his 25 years as a senior executive in enterprise technology. Over the course of his career, he built and managed a number of successful teams serving federal, state, and local governments customers. His most recent roles include Vice President of Cloud Applications for Civilian Agencies at Oracle and leading SLED at CA Technologies (News - Alert). Puffenberger has also held senior positions at McAfee and Securify. Riverbed®, The Digital Performance Company™, enables organizations to maximize digital performance across every aspect of their business, allowing customers to rethink possible. Riverbed's unified and integrated Digital Performance Platform™ brings together a powerful combination of Digital Experience and Next-Generation Networking solutions that provides a modern IT architecture for the digital enterprise, delivering new levels of operational agility and dramatically accelerating business performance and outcomes. At more than $1 billion in annual revenue, Riverbed's 30,000+ customers include 98% of the Fortune 100 and 100% of the Forbes Global 100. Learn more at riverbed.com.